The ratings in this test were all provided by over 11,000 readers who filled out MCN's Biking Britain survey. The N810-VX is one of the range toppers from Nitro. The shell is a fibreglass construction and different sized cheek pads for a customised fit. The lining is removable and washable, the visor is quick release and the chin strap used a D-lock system. 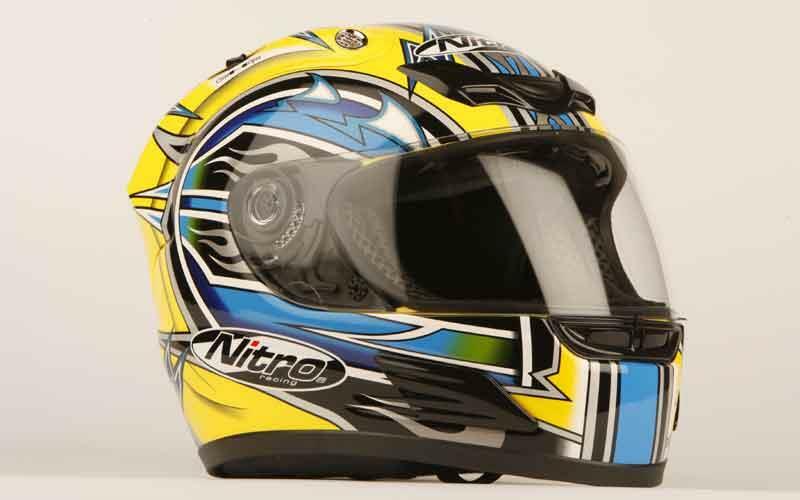 There is still stock of this helmet but it will be superseded this year by the N710-VF for the same price. ACU Gold Star approved. 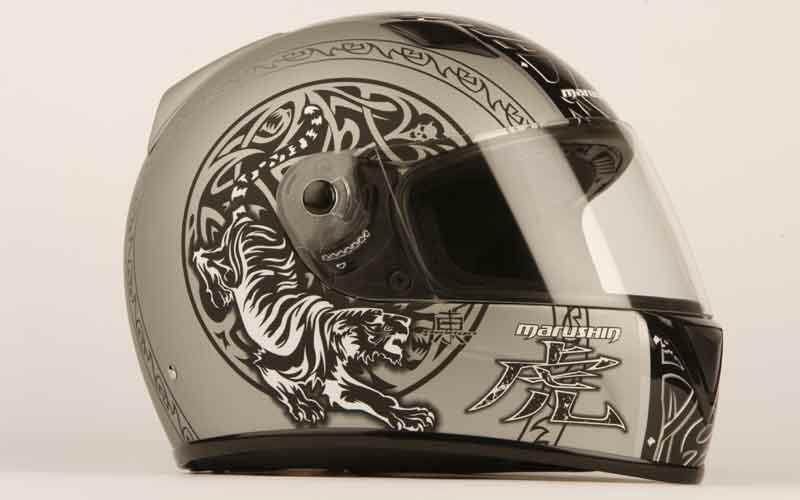 The Tiger is just one of the full-face lids in a wide range of budget priced helmets. 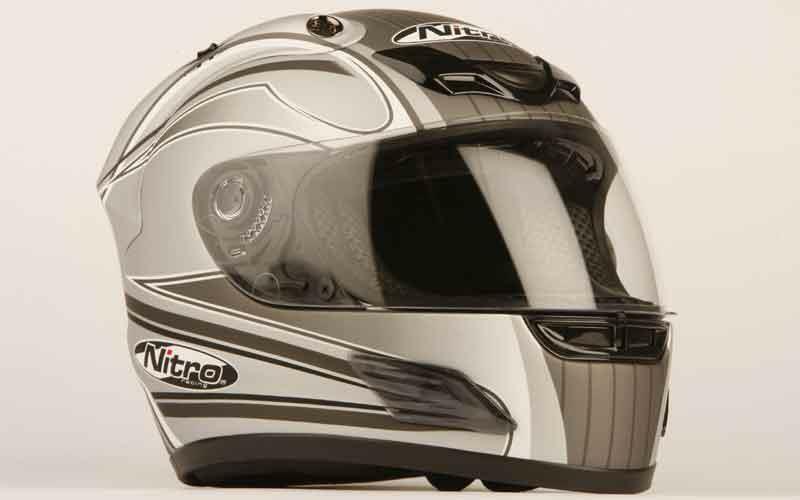 It has a fibreglass shell, an anti-scratch and anti-fog visor, a safety-belt style chin fastener and removable padding. The visor is quick release, too. ACU Gold Star approved. Airoh is starting to establish a good road grounding following massive success in the off road market. The Warrior has a thermoplastic shell, a double-sided anti-scratch visor, a breathable inner liner and quick release chin strap. The visor also has air intakes. ACU Gold Star approved. The V-Can offering comes with a flip-up integral smoke visor, removable and washable comfort lining and quick release systems for the visor and the chin strap. 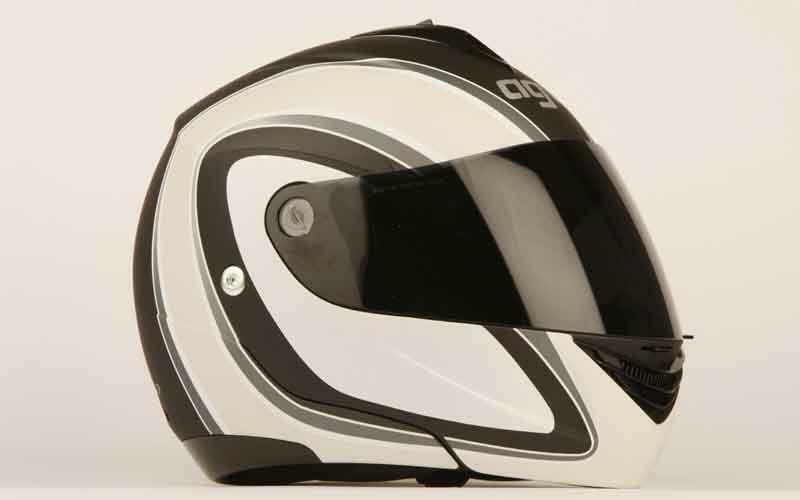 The thermoplastic shell has a full ventilation system and the visor is anti-scratch treated, too. ACU Gold Star approved. 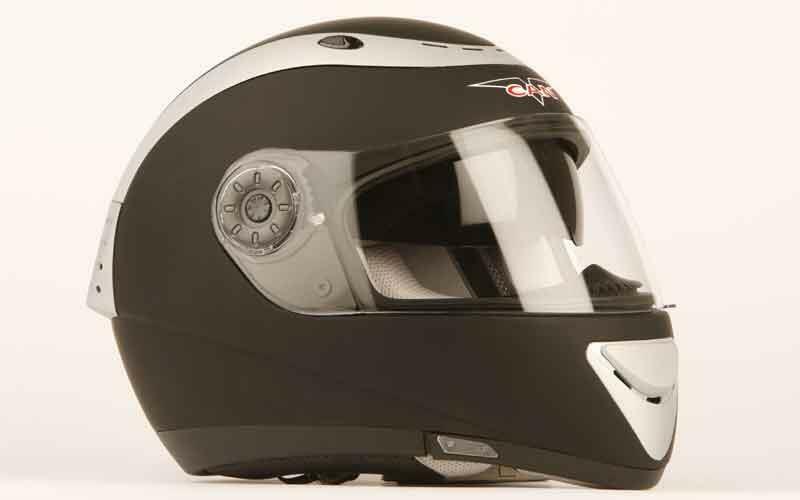 The Longway is AGV’s sole flip-up helmet in the 2009 range. The shell is thermoplastic and the lining is full removable and washable – that includes the neck roll section, too. The visor is anti-scratch and anti-fog and the chin retention system is quick release. ACU Gold Star approved. 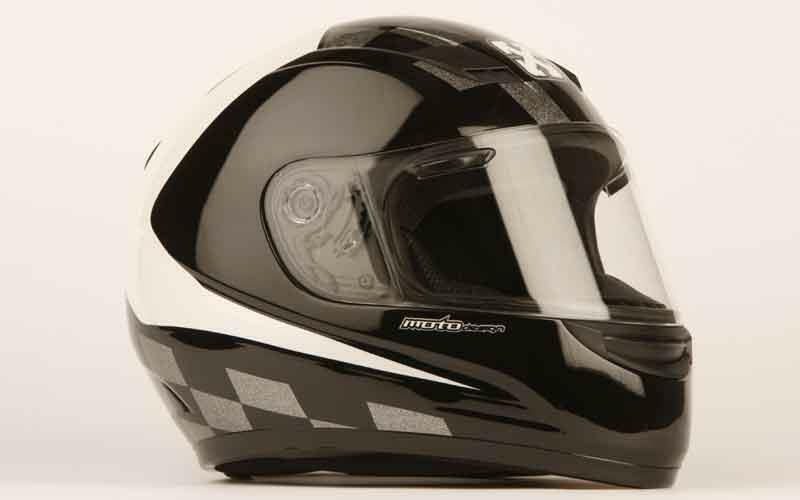 With a technopolymer injection thermoplastic shell, an external sun visor, a scratch resistant visor and removable cheek pads the Vertigo is a well equipped road helmet. It comes with a quick release visor and a removable chin curtain and breath deflector. ACU Gold Star approved. 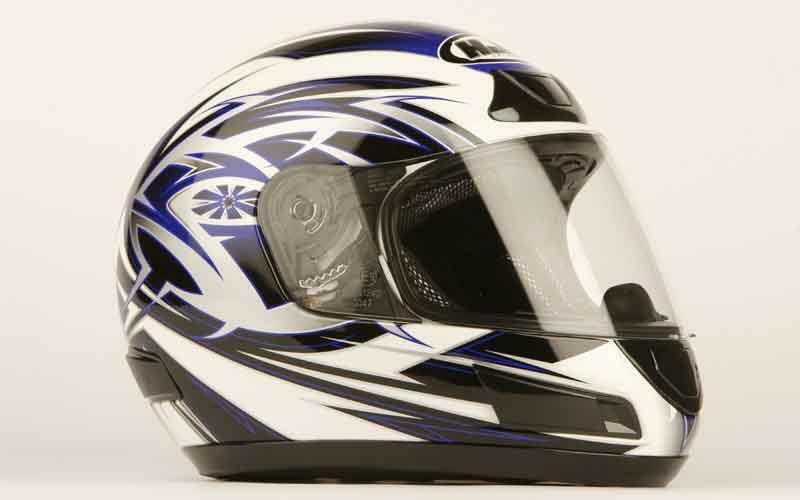 US firm Sparx has just the one lid in their full-face range and it comes with a five year warranty and a Crashed Helmet Program where you can get a brand new lid if you produce the police report from your accident. The shell is thermo composite, the visor and chin strap are quick release and there’s even a special compartment to store our earplugs. ACU Gold Star approved. The N820-VX is very similar to the 810 that’s come in as number one in your reviews. It has a fibreglass shell, interchangeable internal pads, a full removable washable liner a double D-ring chin strap fastener and a quick release visor. 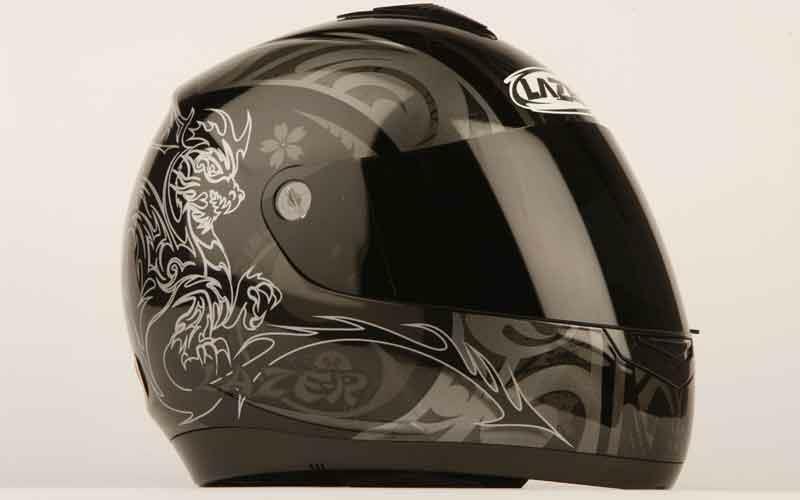 There is still stock of this helmet but it will be superseded this year by the N720-VF for the same price. It’s also ACU Gold Star approved. 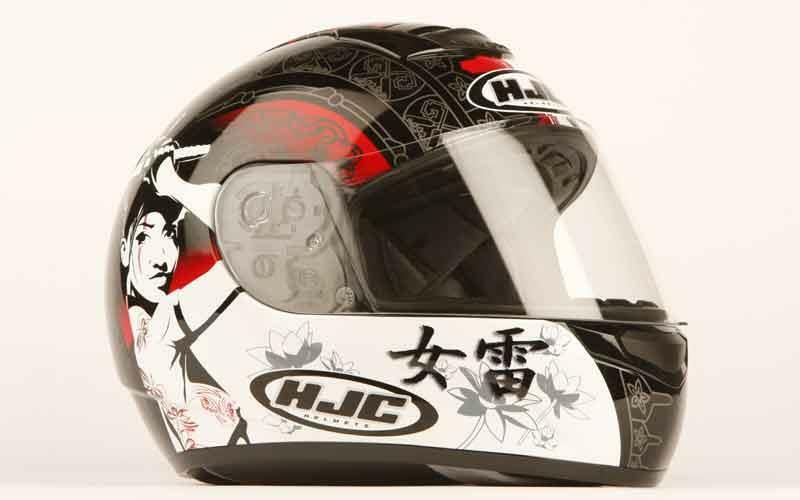 HJC is a well recognised motorcycle racing brand – World Superbike phenomenon Ben Spies wears one! 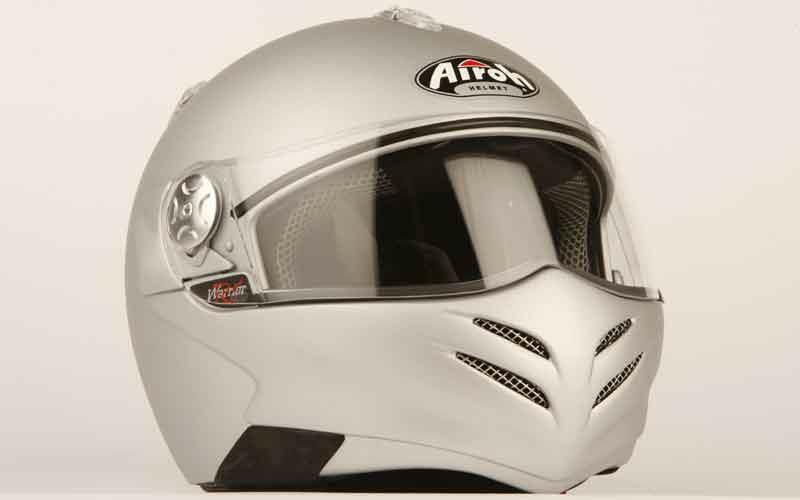 The shell is synthetic plastic with a quick release visor system, removable linings, chin curtain and breath deflector and a full ventilation system. ACU Gold Star approved. The second HJC in the survey is the CS-12N.It shares the same shell construction as the CS-R1 and has a removable lining, quick release visor system and a removable chin curtain and breath deflector. An eight-point ventilation system makes it an ideal track lid. ACU Gold Star approved.